We’ll help you find the right bed frame for the centre of your Bedroom. 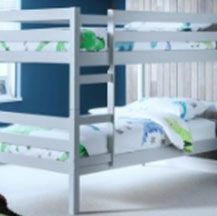 At Dreamland we understand how a bedframe can vastly change the appearance of any bedroom, but we also know the strength and design is key to offer the mattress a supportive comfortable sleeping Surface; currently dealing with several manufactures who offer hundreds of designs. We aim to take the very best selection of these and give our customers a cross-section of prices and quality to create their perfect bed! 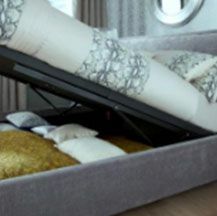 A bed frame which is not supportive enough for mattress you place on top of it can reduce the life of the mattress massively. At dreamland great emphasis has been placed on training to make sure the staff can recommend the appropriate frame for the mattress which is to be used on it.